Once a slim high school tennis player, Jennifer Gilman packed 30 pounds onto her 5’4″ frame during college. There, she stopped exercising and started hitting the dining hall—hard. “I’d eat what I now know is three portions of pasta at one time,” says the 32-year-old university administrator from Washington, D.C., whose weight peaked at 180 pounds. After graduation, she shrunk from a size 14 to a 10 by counting calories, but within six months her new clothes were too tight again. Her weight hovered in the 170s for the next eight years. 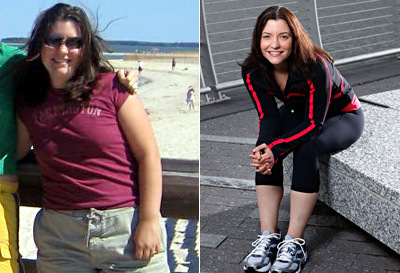 On her doctor’s advice, Jennifer joined a gym in January 2009 and hired a trainer. 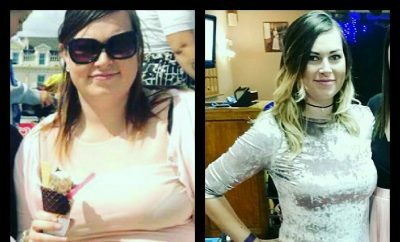 For her first session, she recalls, “I couldn’t even find a T-shirt that fit!” When the trainer took her measure­ments and told her that her body-fat percentage was 35, Jennifer felt embarrassed—and then determined. “I wanted to prove I could do this,” she says. 80 Pounds Lost: Anything is possible if you put your mind to it.